Construction at Rafael Viñoly’s slender skyscraper 125 Greenwich Street has reached street level, but as CityRealty uncovered, the tower that was slated to be taller than 1,000 feet over the summer (and previously 1,400 feet), is back down to 898 feet. 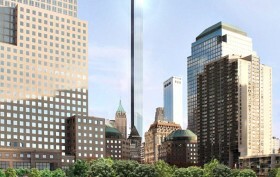 Though this now makes it shorter than Fumihiko Maki’s 977-foot 4 World Trade Center one block north, fresh renderings show that the 88-story condo will still offer sweeping views of the city and harbor, which are shown for the first time from interior shots. 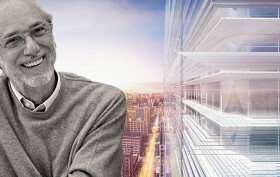 Renzo Piano’s versatility continues to win the hearts of NYC developers, and it looks like the starchitect is finally getting his chance to flex his muscle in the residential realm. 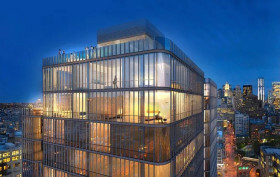 The Post reports that Piano—who just cut the ribbon to the new Whitney to rave reviews—has been chosen by Michael Shvo and Bizzi & Partners to design a brand new 290-foot tower at 100 Varick Street in up-and-coming Hudson Square bordering Soho. 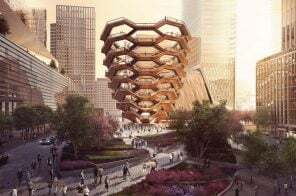 The latest in the world of New York City supertalls comes to us from New York YIMBY, who has revealed renderings for the Rafael Viñoly-designed 125 Greenwich Street. 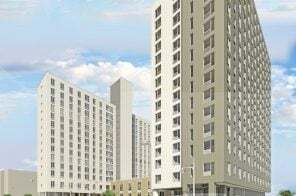 At 1,356 feet, it will become Downtown’s tallest residential tower, the first to rival the 57th Street skyscrapers like Extell’s planned Nordstrom Tower, which will rise 1,479 feet. It will also be just 12 feet shy of One World Trade Center’s roof, making it the second tallest skyscraper in the Financial District.